Each academic year, the various research axes with IDEA hold seminars relevant to their interdisciplinary axis. While the themes of these seminars change, they represent the main research thrusts of the team on the whole. The word, “brand,” and the practice of branding objects and persons—including slaves and prisoners—have ancient roots. Not until the sixteenth century, however, did it come to denote the stamp burned into the flesh of human beings or livestock to symbolize ownership. Thereafter, with the transition from an agricultural to an industrial economy in Europe and North America, the word became increasingly figurative, and its modern usage, as trademark, was established early in the nineteenth century as manufacturers started branding their products with their logotype or trademark. The widespread distribution of branded products, however, is tied to the development of mass production, transportation, and communication technologies at the end of the nineteenth century, the era from which some of the best-known consumer brands date, from Coca-Cola to Mercedes-Benz.With the technological revolutions of the late twentieth century, the manufacture and protection of invincible brands has become a corporate obsession. Although the branding of popular culture goes back many decades, the mid 1990s saw the practice expand to include middlebrow and highbrow art and culture. In the new millennium, opera companies, symphony orchestras, and commercial and nonprofit theatres have spent millions hiring marketing firms to help them carve out distinctive identities. This enterprise has been promoted energetically by the doyens of marketing who theorize branding as a social practice undertaken by a product or service that transforms the consumer in the same way that a woman is changed into a wife by the magical repetition of the words, “I do.” In this talk, I examine the history of branding and argue that branding is a mode of cultural performance, or what Pierre Bourdieu calls an act of institution, a feat of “social magic” that “signifies to someone what his [or her] identity is.” And as my case study, I examine the New York Public Theater’s branding of the 2009 revival of the musical Hair to analyze the commodification of the revolution of the 1960s. 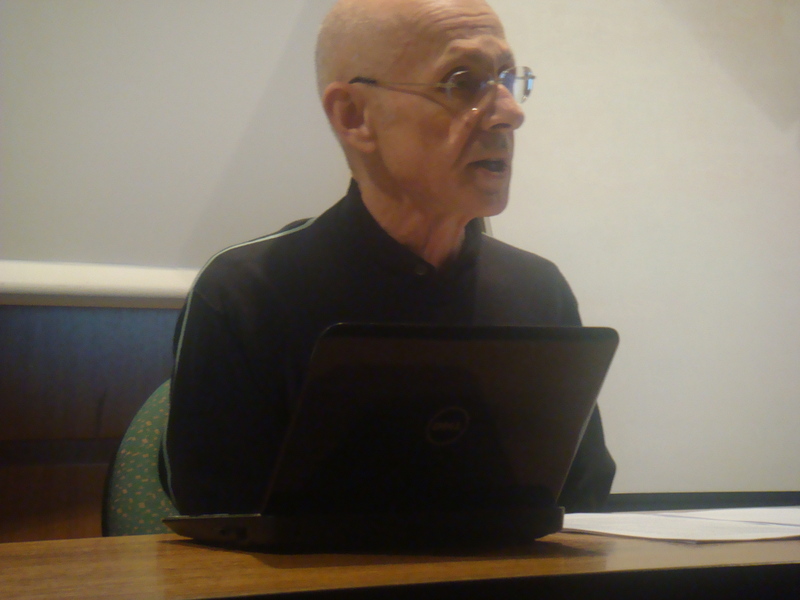 Bernard Hoepffner’s talk centered on “Retraduction,” or the problems confronting a translator when a book has already been translated at least on time before. Hoepffner, who recently translated Mark Twain’s Tom Sawyer and The Adventures of Huckleberry Finn, also translated parts of James Joyce’s Ulysses. The talk was open to IDEA members, as well as to students of the Université de Lorraine interested in translation and translation theory.